THANKS FOR VIEWING OUR BEAUTIFUL CONDO WE LOVE OUR SNOWBIRDS !! THE "ORIGIN" IN THE TOWN OF SEAHAVEN IS LOCATED IN THE HEART OF PANAMA CITY BEACH WHERE THE WORLDS MOST BEAUTIFUL BEACHES ARE LOCATED. THE "ORIGIN" CONDOMINIUM BUILDING WAS BUILT IN 2007 THE ONLY CONDOMINIUM THAT HAS AIR CONDITIONED CORRIDORS IN PANAMA CITY BEACH. WE ARE THE OWNERS AND PAY SEAHAVEN MANAGEMENT SO OUR WONDERFUL SNOWBIRDS CAN HAVE 24 HOURS IMMEDiIATE ON-SITE RESPONSE FOR ANY PROBLEMS THAT MAY OCCUR. NO WAITING FOR AN OWNER TO RESPOND FROM MILES AWAY. NOTE: OUR CALENDAR IS NOT UPDATED SO PLEASE E-MAIL US FOR AVAILABILITY. 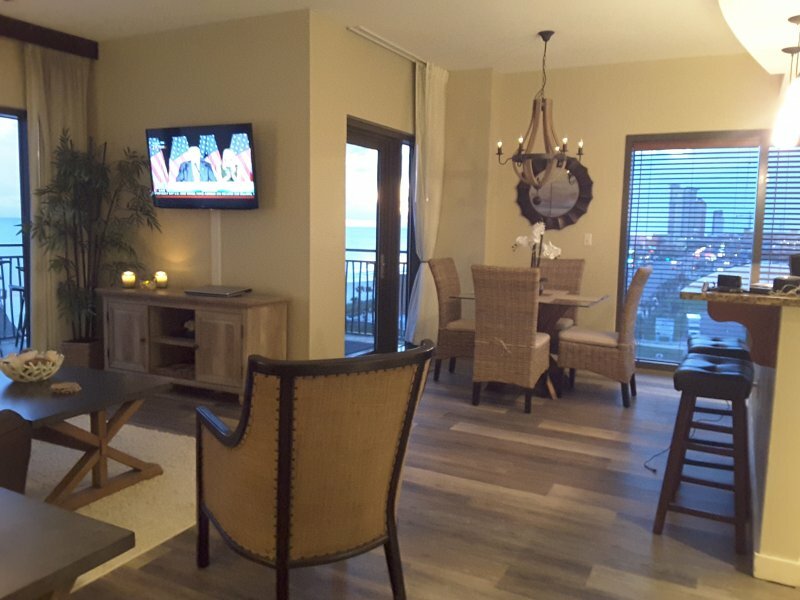 OUR BEAUTIFUL CONDO IS LOCATED ON THE 7TH FLOOR (PRIME LOCATION) ITS A FRONT / CORNER UNIT OVERLOOKING THE WEST END, THE GULF OF MEXICO AND THE BEAUTIFUL SHORELINE BEACHES OF PANAMA CITY BEACH. OUR CONDO IS VERY WELL KEPT AND VERY CLEAN. MASTER BEDROOM INCLUDES KING SIZE BED WITH NEW BEDDING , BRAND NEW 42" HI DEF SAMSUNG FLAT SCREEN TV, CEILING FANS AND GULF VIEWS. 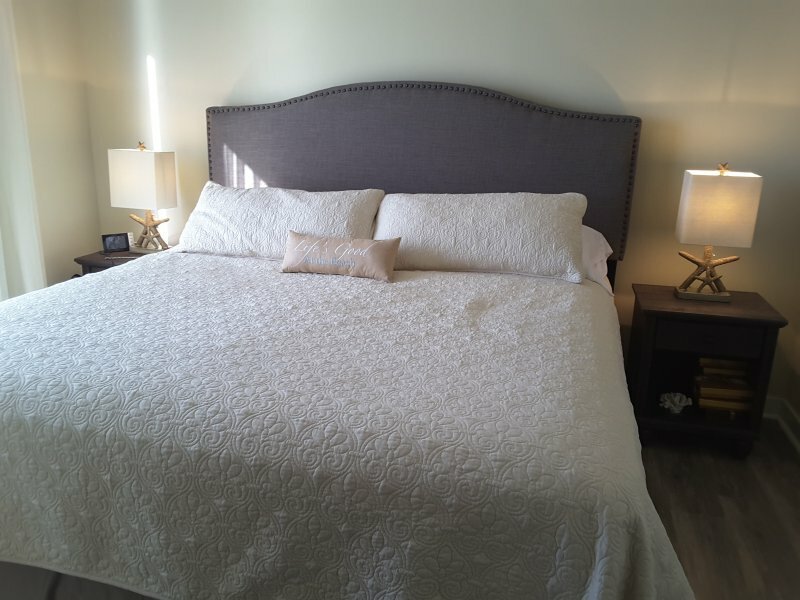 2ND MASTER BEDROOM INCLUDES KING SIZE BED WITH BRAND NEW BEDDING ,BRAND NEW 42" HI DEF SAMSUNG FLAT SCREEN TV WITH BLU RAY DVD PLAYER, KITCHENETTE WITH TABLE AND CHAIRS, PRIVATE BATHROOM, CEILING FAN, GULF VIEWS, 2ND BEDROOM ALSO HAS ITS OWN PRIVATE ENTRANCE. LIVING ROOM INCLUDES QUEEN SIZE SOFA SLEEPER, BRAND NEW 50 " HI DEF SAMSUNG FLAT SCREEN TV , CEILING FAN AND AMAZING GULF VIEWS. OUR BALCONY IS AN OVER SIZED L-SHAPED BALCONY WITH BEAUTIFUL GULF AND SUNSET VIEWS AND DOES NOT OVERLOOK ANY OTHER BALCONY. BALCONY ALSO HAS 4 BRAND NEW CHAIRS, CHAISE LOUNGE AND TABLE. FREE LINEN AND TOWEL EXCHANGE BECAUSE WE ARE ASSOCIATED WITH SEAHAVEN MANAGEMENT. OBSERVATION / SUNSET DECK LOCATED ON THE 15TH FLOOR WITH SPECTACULAR PANORAMIC GULF AND SUNSET VIEWS. SEAHAVENS PRIVATE BEACH ACCESS LOCATED DIRECTLY ACROSS THE STREET ( 3 MINUTE WALK TO THE BEACH ACCESS) ANOTHER BENEFIT RENTERS WILL GET WHEN BOOKING WITH US. FAMOUS "SHARKEYS" RESTAURANT / TIKI BAR WITH LIVE MUSIC LOCATED DIRECTLY ACROSS THE STREET WITH BEACH FRONT SEATING KIDS EAT FREE (12 AND UNDER ) ONE KID MEAL PER PAID ADULT MEAL PER STAY MUST PRESENT VALID KIDS EAT FREE CARD GIVEN AT CHECK IN. FREE COVERED PARKING IN BUILDING ( PARKING PERMIT GIVEN AT CHECK-IN ) ALSO HAS OVERFLOW PARKING LOT OUTSIDE ON THE WEST END OF THE BUILDING. THE FAMOUS "PIER PARK" IS LOCATED LESS THAN 1 MILE WEST OF THE CONDO (WALKING DISTANCE). ENJOY 900,000 ACRES OF UNIQUE RESTAURANTS, SHOPS,16 SCREEN GRAND MOVIE THEATER ,MIRACLE STRIP AMUSEMENT PARK FOR THE KIDS. MANY MAJOR DEPARTMENT STORES ALSO LOCATED IN PIER PARK . NOTE: TAXES AND CLEANING FEES NOT INCLUDED IN THE RATES. THANKS AGAIN FOR VIEWING OUR CONDO AND PLEASE EMAIL US IF YOU HAVE ANY QUESTIONS . Description THANKS FOR VIEWING OUR BEAUTIFUL CONDO WE LOVE OUR SNOWBIRDS !! THE "ORIGIN" IN THE TOWN OF SEAHAVEN IS LOCATED IN THE HEART OF PANAMA CITY BEACH WHERE THE WORLDS MOST BEAUTIFUL BEACHES ARE LOCATED. THE "ORIGIN" CONDOMINIUM BUILDING WAS BUILT IN 2007 THE ONLY CONDOMINIUM THAT HAS AIR CONDITIONED CORRIDORS IN PANAMA CITY BEACH. WE ARE THE OWNERS AND PAY SEAHAVEN MANAGEMENT SO OUR WONDERFUL SNOWBIRDS CAN HAVE 24 HOURS IMMEDiIATE ON-SITE RESPONSE FOR ANY PROBLEMS THAT MAY OCCUR. NO WAITING FOR AN OWNER TO RESPOND FROM MILES AWAY. NOTE: OUR CALENDAR IS NOT UPDATED SO PLEASE E-MAIL US FOR AVAILABILITY. 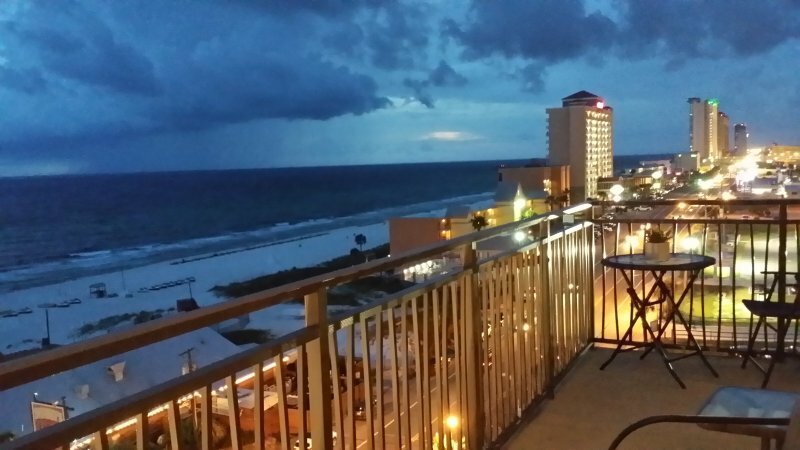 OUR BEAUTIFUL CONDO IS LOCATED ON THE 7TH FLOOR (PRIME LOCATION) ITS A FRONT / CORNER UNIT OVERLOOKING THE WEST END, THE GULF OF MEXICO AND THE BEAUTIFUL SHORELINE BEACHES OF PANAMA CITY BEACH. OUR CONDO IS VERY WELL KEPT AND VERY CLEAN. 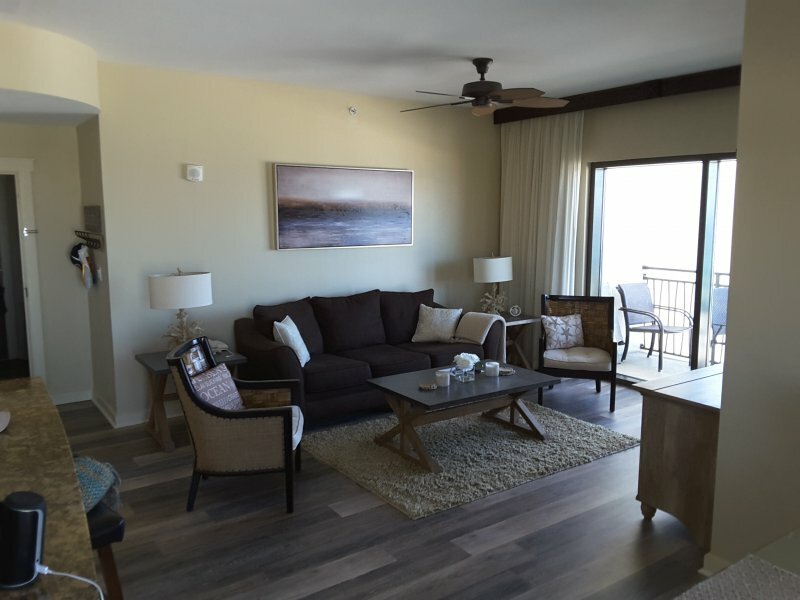 THIS CONDO FEATURES THE FOLLOWING: 1300 SQUARE FEET CENTRAL A/C SYSTEM 2 BEDROOMS 2 FULL BATHROOMS SLEEPS 6 PERFECT FOR A LARGE FAMILY OR A MULTI-FAMILY MASTER BEDROOM INCLUDES KING SIZE BED WITH NEW BEDDING , BRAND NEW 42" HI DEF SAMSUNG FLAT SCREEN TV, CEILING FANS AND GULF VIEWS. 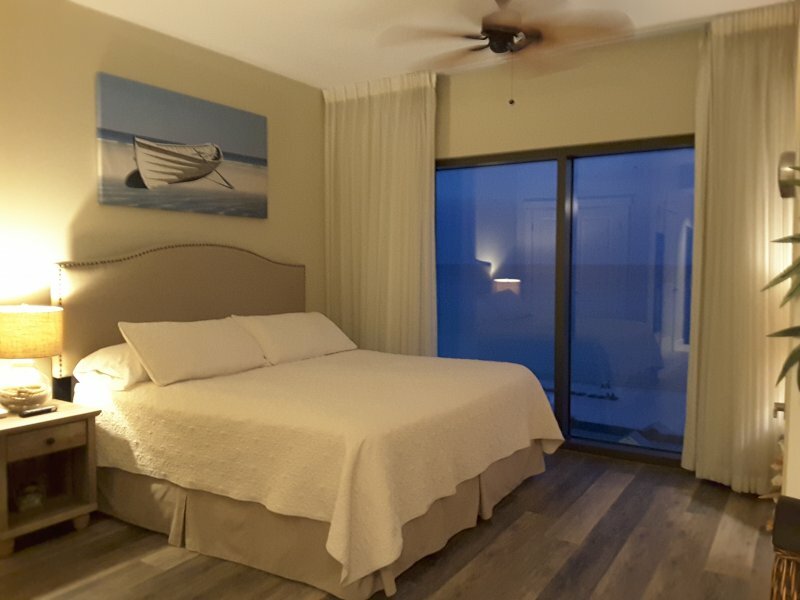 2ND MASTER BEDROOM INCLUDES KING SIZE BED WITH BRAND NEW BEDDING ,BRAND NEW 42" HI DEF SAMSUNG FLAT SCREEN TV WITH BLU RAY DVD PLAYER, KITCHENETTE WITH TABLE AND CHAIRS, PRIVATE BATHROOM, CEILING FAN, GULF VIEWS, 2ND BEDROOM ALSO HAS ITS OWN PRIVATE ENTRANCE. LIVING ROOM INCLUDES QUEEN SIZE SOFA SLEEPER, BRAND NEW 50 " HI DEF SAMSUNG FLAT SCREEN TV , CEILING FAN AND AMAZING GULF VIEWS. 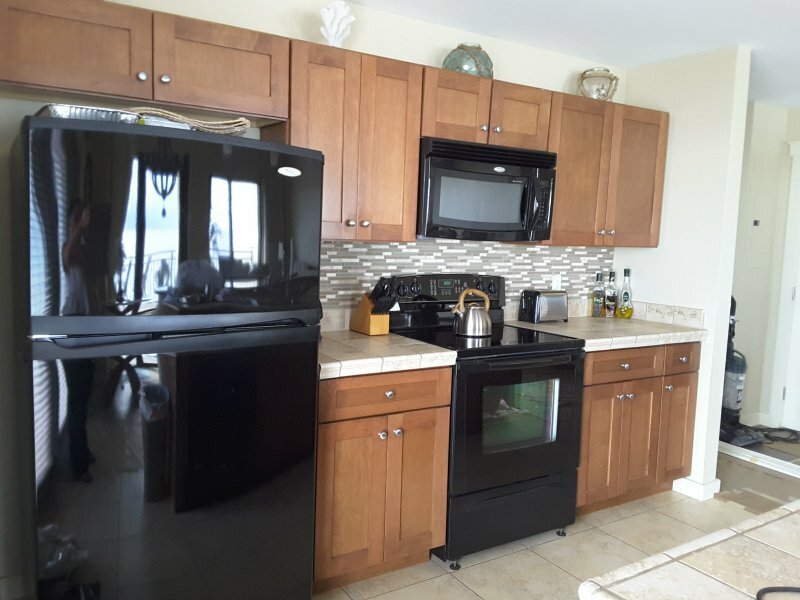 FULLY EQUIPPED KITCHEN WITH BREAKFAST BAR (SEATS 2) WITH DINING ROOM TABLE ( SEATS 4 ) OUR BALCONY IS AN OVER SIZED L-SHAPED BALCONY WITH BEAUTIFUL GULF AND SUNSET VIEWS AND DOES NOT OVERLOOK ANY OTHER BALCONY. BALCONY ALSO HAS 4 BRAND NEW CHAIRS, CHAISE LOUNGE AND TABLE. 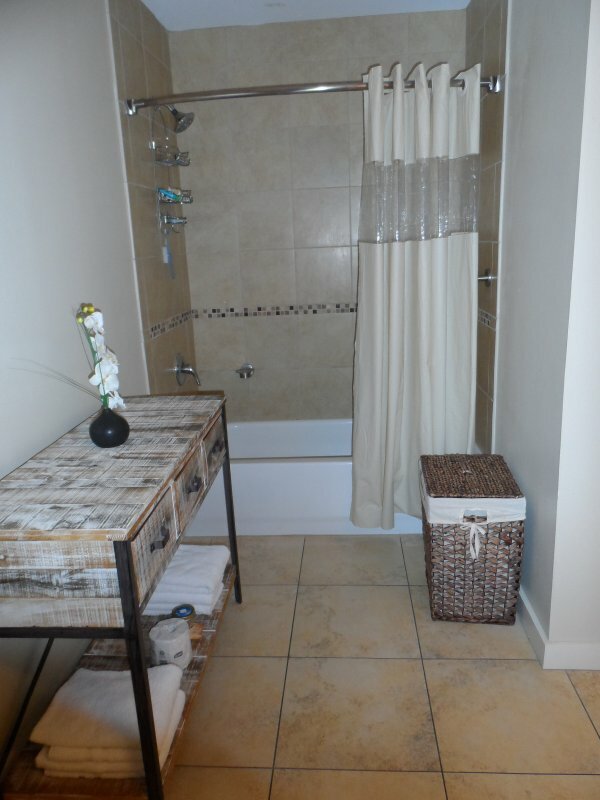 UNIT HAS WASHER AND DRYER INSIDE BOTH BEDROOMS HAVE IRONS / IRONING BOARDS HAIR DRYER IN BOTH BATHROOMS FREE INTERNET/ WI-FI FREE LINEN AND TOWEL EXCHANGE BECAUSE WE ARE ASSOCIATED WITH SEAHAVEN MANAGEMENT. ( UPON REQUEST ) FITNESS CENTER LOCATED ON THE 4TH FLOOR HEATED GRAND POOL TERRACE ON TH 4TH FLOOR HOT TUB ON THE 4TH FLOOR WITH GULF VIEWS MINI ARCADE FOR KIDS BBQ'S AND TABLES ON THE 4TH FLOOR OBSERVATION / SUNSET DECK LOCATED ON THE 15TH FLOOR WITH SPECTACULAR PANORAMIC GULF AND SUNSET VIEWS. SEAHAVENS PRIVATE BEACH ACCESS LOCATED DIRECTLY ACROSS THE STREET ( 3 MINUTE WALK TO THE BEACH ACCESS) ANOTHER BENEFIT RENTERS WILL GET WHEN BOOKING WITH US. FAMOUS "SHARKEYS" RESTAURANT / TIKI BAR WITH LIVE MUSIC LOCATED DIRECTLY ACROSS THE STREET WITH BEACH FRONT SEATING KIDS EAT FREE (12 AND UNDER ) ONE KID MEAL PER PAID ADULT MEAL PER STAY MUST PRESENT VALID KIDS EAT FREE CARD GIVEN AT CHECK IN. FREE COVERED PARKING IN BUILDING ( PARKING PERMIT GIVEN AT CHECK-IN ) ALSO HAS OVERFLOW PARKING LOT OUTSIDE ON THE WEST END OF THE BUILDING. LOCAL ATTRACTIONS: THE FAMOUS "PIER PARK" IS LOCATED LESS THAN 1 MILE WEST OF THE CONDO (WALKING DISTANCE). ENJOY 900,000 ACRES OF UNIQUE RESTAURANTS, SHOPS,16 SCREEN GRAND MOVIE THEATER ,MIRACLE STRIP AMUSEMENT PARK FOR THE KIDS. MANY MAJOR DEPARTMENT STORES ALSO LOCATED IN PIER PARK . MINIATURE GOLF GULF WORLD MARINE PARK FOR KIDS SHIPWRECK ISLAND WATER PARK (SEASONAL CHECK SCHEDULE) WATER SPORT RENTALS ON THE BEACH BEACH CHAIRS AND UMBRELLA RENTALS ALSO AVAILABLE ON THE BEACH ( OR GO TO WALMART AND GRAB A COUPLE OF CHAIRS) FISHING ST.ANDREWS PARK SHELL ISLAND GOLF 24 HOUR SECURITY ON PREMISES NOTE: TAXES AND CLEANING FEES NOT INCLUDED IN THE RATES. PRICES SUBJECT TO CHANGE WITHOUT NOTICE BASED ON AVAILABILITY ONE TIME CLEANING DEPARTURE FEE OF $ 145.00 DAMAGE PROTECTION FEE OF $ 46.00 PLUS TAX 14.5 % . ALL MONTHLY RENTALS MUST CANCEL 45 DAYS PRIOR TO ARRIVAL DATE FOR A REFUND THANKS AGAIN FOR VIEWING OUR CONDO AND PLEASE EMAIL US IF YOU HAVE ANY QUESTIONS . Avail JAN 2-MAR 2, 2019 for $3900 ALL INCLUSIVE + $300 Deposit! 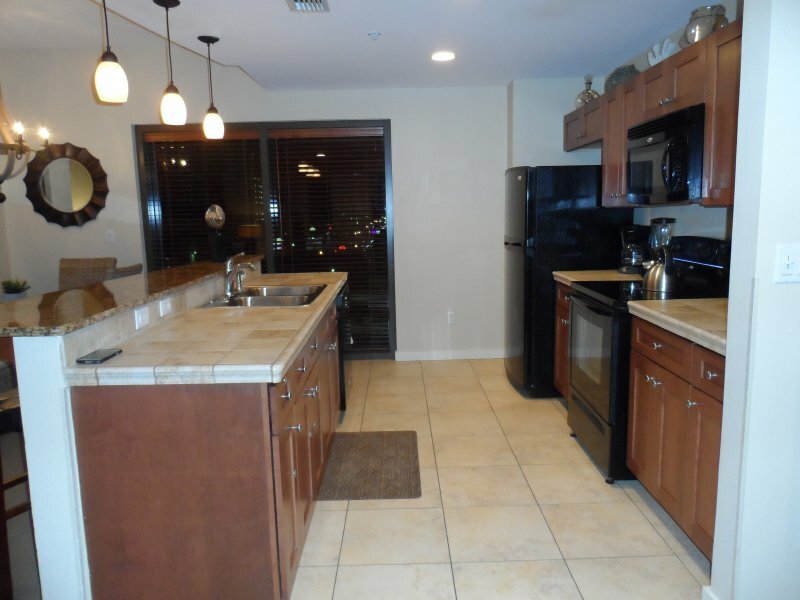 STUNNING & AFFORDABLE 1500SF - Seacrest Beach 2/2 Condo! Upscale Prominence North Town Home - Chillin by the Sea! ~ Across the Street from Shopping and Dining at The Hub! Sitting on the sand in Destin! 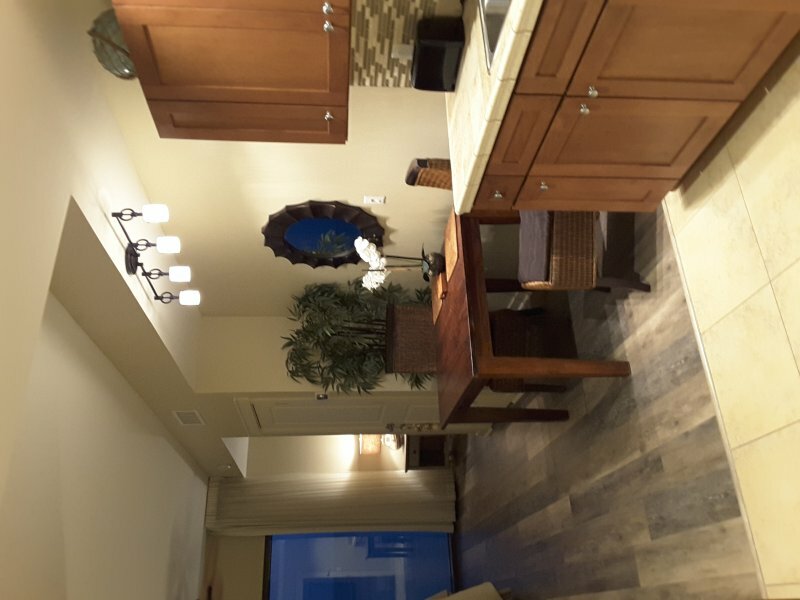 Beachfront Condo at Breakers East! Fabulous View with a Spacious Balcony! 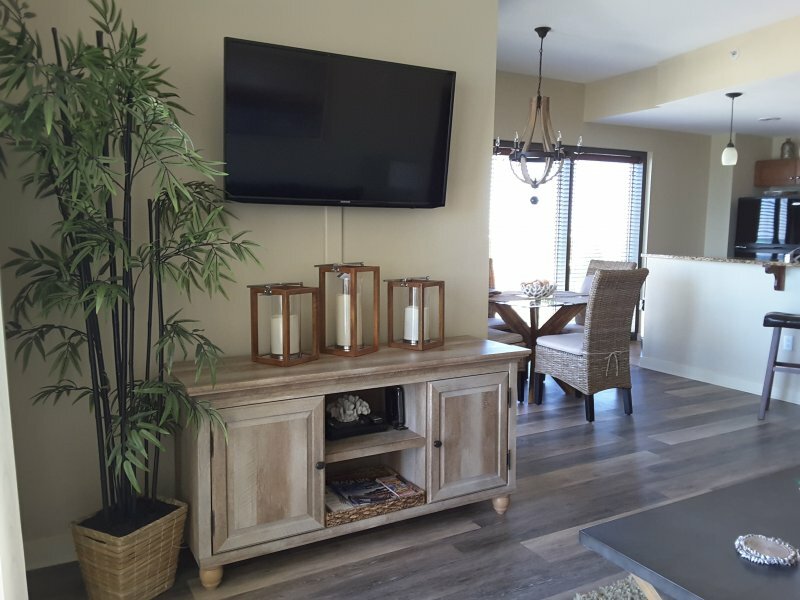 Gulf Side Townhome within Steps To Beach & With Free WiFi! 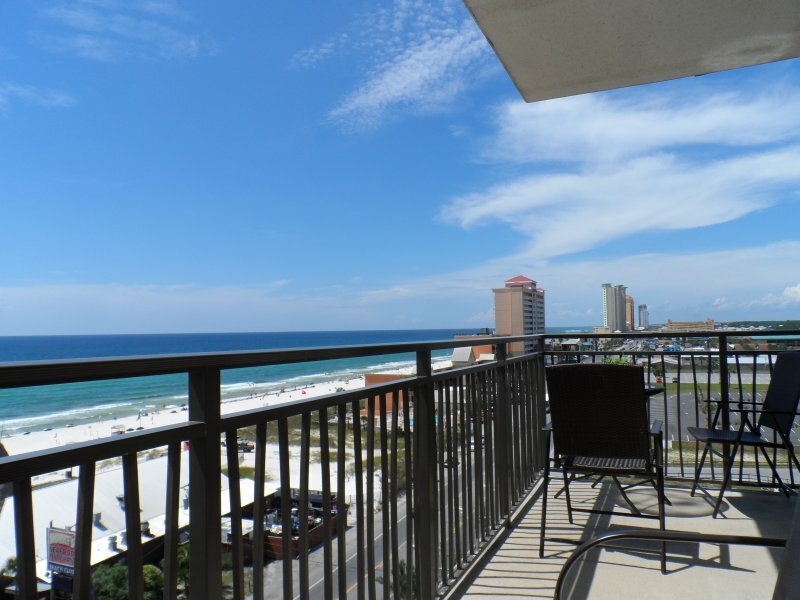 Cozy Condo in Destin ~ Near Local Favorites ~ Private Balcony! Unbeatable Views of the Gulf of Mexico ~ Fitness ~ Seasonally Heated Pool! 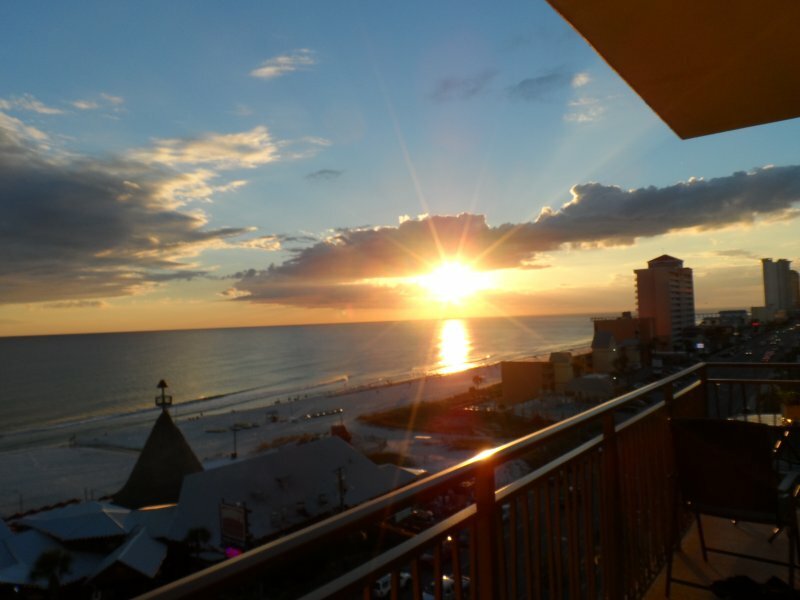 Two Bedroom Beach Condo at Caribbean Dunes ~ Near the Beach in Destin!